According to the American Psychological Association (2015), approximately 45% of American married couples divorce. 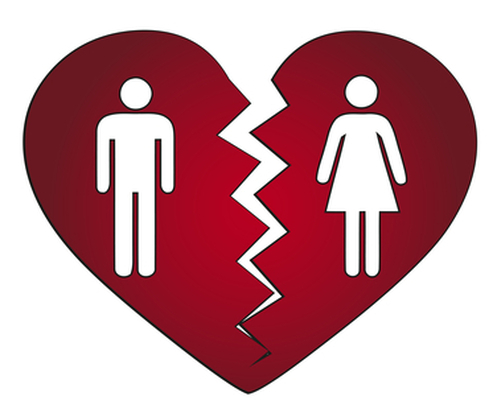 Moreover, the average age of a divorced American male is 30 years old, while the average age of a divorced American female is 29 years old. Furthermore, many first-time married couples experience a divorce within 7 or 8 years (Centers for Disease Control and Prevention, 2015). Let’s be honest – no one gets married with the intentions of getting divorced. It’s not like you walk down the aisle thinking you will probably be in the midst of a messy divorce in a few years. In fact, most people envision a long, happy life with the “love of their life.” Unfortunately, life does not always turn out like you expect. In fact, life, love, and marriage rarely coincides with your expectations. In these situations, all you can do is to “make lemonade out of lemons” and keep moving. If you are going through a messy divorce, your first instinct may be to blame your spouse for the breakdown of your marriage – don’t do that. Why not? Well, because if you are truthful with yourself, you know that your spouse is not the only one to blame for your marital problems. When a marriage falls apart normally both spouses play role in it. One spouse may have lied or cheated, but the other spouse may have been too dismissive or indifferent towards his or her partner or the relationship, as whole. There are probably things you could have done differently, signs you could have caught, etc., if you had been more vigilant. The spouse that cheated or lied could have done things differently too, for example, he or she could have talked to you, and/or sought counseling before turning to someone else or lying to you about something important. You both made mistakes. But, at this stage, all you can do is accept that the marriage is over. Truth-be-told, accepting that your marriage is over can be extremely heartbreaking, regardless of whether the “feelings” left months or years ago. It is the loss of a dream that is most painful. It is common to be regretful during a divorce, especially if there are children involved. You may be worried about how the divorce will affect your children, families, and/or your future, and that is normal. However, your children will adjust, as long as you and your spouse show respect towards one another – around your children, and when they are not in your presence. It is important to remember that children pick up on hostile vibes, so even if you do not “bad mouth” your spouse in front of them, they will be able to pick up on the unspoken hostility between you. Try to keep the divorce as amicable as possible - if not for yourself, than for your children. And, if you do not have children, keep things amicable out of respect for the love you once shared. This may be one of the hardest things you will ever do, but it is important to stay positive through a divorce. Why? Well, because if you sling mud at your spouse, it may ricochet and hit you in the face. In other words, as I mentioned above, more than likely both you and your spouse are to blame, in some fashion, for the breakdown of your marriage. If you sling mud at your spouse, there is a good chance he or she will return the gesture. Don’t resort to those types of negative behaviors. Cry about the end of your marriage, go to the gym and punch a boxing bag, scream, and/or “vent” to friends and family members, but do not resort to name-calling, degradation, and blaming when you are around your spouse. Keep it all above level. In other words, keep it all positive…even when it hurts. Be respectful, but most of all stay calm. If you allow you emotions to take over, the outcome will be less than desired. More specifically, a person cannot think rationally, if he or she is overly emotional, therefore try to keep your cool, even if your spouse tries to push your buttons. Once your spouse sees that his taunts do not affect you, he or she will stop them, and you will be able to heal more quickly. Furthermore, do not solely blame yourself for the divorce. It took two to get married, and it takes two to get divorced. Learn from the mistakes that you made in this marriage, and move on with your life. The next time you get married, you will be more prepared. Sometimes, people, in the middle of a horrible argument may impulsively yell out that he or she wants a divorce. Well guess what? Most times, the person who says the “D” word really doesn’t mean it. It is common to say things that you don’t mean in the middle of a heated disagreement, especially when you feel that you have been wronged by the other person. But, don’t let your emotions dictate the state of your marriage. In other words, remove yourself from the hostile environment, take a few days to reassess your marriage, and talk to your spouse. If you are going through a messy divorce, the best thing you can do is to take care of yourself. Get a new haircut and color, join a gym and focus on your fitness, get out and socialize with others, write your feelings down in a journal, take bubble baths, get manicures/pedicures, and/or concentrate on improving yourself – mentally and spiritually. In other words, give yourself a much needed break. Do something nice for yourself, and forgive yourself for your mistakes, and your spouse for his or her mistakes. If you need to cry and scream – cry and scream. Do what you need to do to cope with the divorce. Do not keep your feelings bottled up, but also don’t become self-destructive. In other words, release your pain, frustration, and anger in a healthy manner. If you need to take it slow – take it slow. Move at your own pace. You will know when it is time to move on with your life – but do not wallow in self-pity for too long – you deserve to be happy.